The Poppy is a war story close to home, but a war story largely untold. 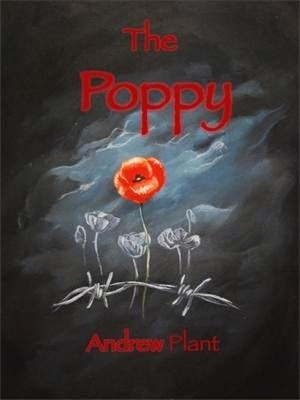 Poetic language wraps around this historical story, delivering a picture book that is full of importance and remembrance and tells of the soldiers who have given up their lives to protect people and places. The Poppy is an ANZAC story. Andrew Plant tells of the desperate night counter-attack in the small French village of Villers-Bretonneux in 1918. On this night, Australian soldiers fought hard to protect the village and its people, stopping the enemy breaking through and pushing them back. It was one of Australia’s greatest victories, as soldiers succeeded in recapturing the village from the Germans. But it was also a victory, like many in war, which came with great loss. Hundreds and hundreds of soldiers, mostly Australian, died holding the line, their blood shed across the fields. Plant tells the story beautifully. He tells of the battle, but he also speaks of the unbreakable bond forged between Australia and France during the battle. Statues, crosses, woodcarvings of Australian plants and animals and many unnamed plaques of all the unknown soldiers, pepper the landscape and dot the hills. The children of the village know the stories. Australian and French flags fly side by side. These stories are painted throughout the pages; bright and vibrant illustrations lyrically depict the village resurrected after the war. The Poppy is a book of remembrance and togetherness; a book about the sacrifices that are made in war and the people that never forget these. It’s a book perfect for primary school readers and one that belongs in the history section of every library. With ANZAC Day fast approaching, this book will be an imperative read in schools across Australia.